The more usual type has pink and white flowering bracts. These sages don't smell very nice, so it's best not to put them too close to a pathway, or to touch any parts of the plant. 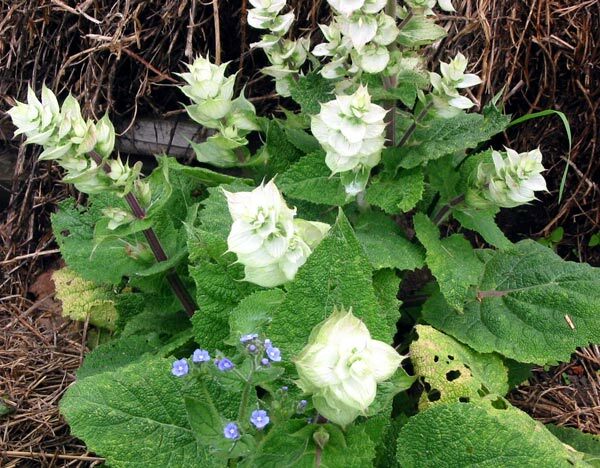 They are brilliant used as filling perennials in new gardens - easily grown from seed, Clary Sage will flower within a few months of the seedlings germinating. 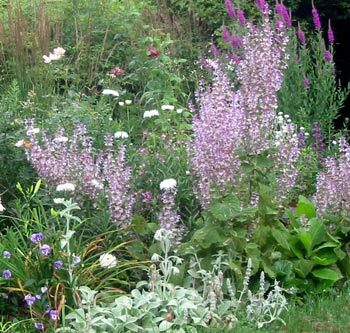 I prefer a mass planting of either the white Clary Sage or the pink flowering variety - so that the texture of the flowers can be most appreciated. Often the humblest of perennials can become the firmest favourites in a garden, especially when they are easy to manage. Salvias have a very good reputation with many gardeners, and Clary Sage is well worth growing.